I am sure everyone joins me in welcoming spring, particularly those of us who have seen one of the worst winters we can all remember. 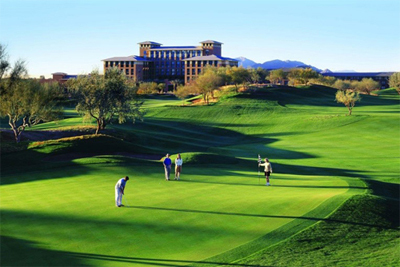 In order to help you purge those snowy memories, I want to extend one more personal invitation to join us at our AAPS Annual Meeting at the Westin Kierland in Scottsdale, Arizona from the 11th to 14th of April. We have an outstanding program, guided by the efforts of Dr. Bob Havlik and the entire Scientific Program Committee. With a second year of near-record abstract submissions, our committee had a bounty of superb papers to choose from, continuing the excellence of our Association meeting. I also want thank our Symposia Chairs, Drs. Chuck Butler and Paul Cederna on the Reconstructive side, and Drs. Bill Little and Peter Rubin on the Aesthetic side. Our Sunday afternoon Opening Ceremony features the introduction of our new members, our traditional awards and recognitions of the leaders in our specialty, and the Presidential Address. That evening I look forward to joining everyone at our Welcome Reception and Poster viewing in our Exhibit area. Get Your Name on the 1/10/100 Wall of Fame! As the Association enters the third year of its 5-year Development Campaign to fully fund the Academic Scholar Awards, the AAPS will once again feature a Development Booth where members can make pledges and donations to the ongoing campaign. All members who have previously committed to the Association, as well as those who have made pledges, donations and bequests over the past year will be recognized on signage throughout the booth. If you would like to join your colleagues in demonstrating your support at this year's Annual Meeting, visit the AAPS Website now and make your pledge! You can also pledge by contacting the Association offices. Please plan to attend the AAPS Annual Business Meeting which will take place on Tuesday, April 14th, at 12:30 PM in the Kierland Rooms 2 & 3 of the Westin Kierland in Scottsdale, Arizona. The minutes of last year's Annual Business Meeting are available here for your reference. In an effort to ensure all interested members are considered in the committee appointment process, we are soliciting self-nominations from members interested in potentially serving on one of the committees which have openings in 2015. As you have all seen, the voting mechanism was significantly new this year, with the addition of scores based on points assigned to each applicant’s publication, teaching appointments, peer-reviewed grants, administrative responsibilities, and plastic surgical society or humanitarian service. On the whole, the new application ranking system worked well and generated the highest voting turnout in five years. In addition, the scoring mechanism functioned only as intended—as a guide, not a directive. Thus the final voting rankings did not follow application scores exactly, but rather reflected Association members’ decisions. The Membership Committee intends to refine the system further to make voting even more efficient for you. Introduced by: Mary McGrath, M.D. 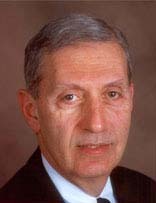 Introduced by: Stephan Ariyan, M.D. - Extensive audience participation including dedicated time for Q&A with faculty, and a Reconstructive Case presentation session to finish the day. These talks will be supplemented with panel discussions and point/counterpoints related to these topics by our expert faculty members. Plastic Surgery and Industry: Conflict of Interest or Essential Synergy? In addition to an outstanding scientific program, the AAPS Annual Meeting would not be complete without an entertaining and inviting social program. The AAPS continues to encourage the advancement of our specialty and the recognition of our colleagues by presenting a number of awards and scholarships. Corporate & Endowment Solutions, Inc.